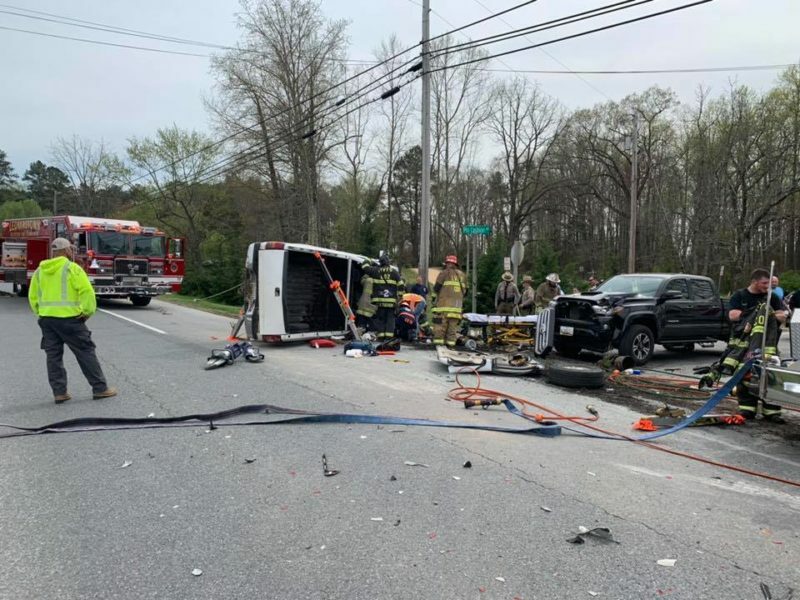 On Thursday, April 11, 2019, at approximately 3:25 p.m., police fire, and rescue personnel responded to the area of Pin Cushion Road and Point Lookout Road in Leonardtown, for the motor vehicle accident reported serious with one vehicle overturned and one trapped. 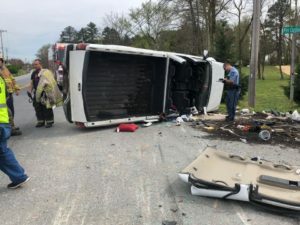 Crews arrived on scene to find two pick up trucks in the roadway, with one vehicle on its side with the single occupant trapped. The single patient was extricated in under 15 minutes by firefighters. 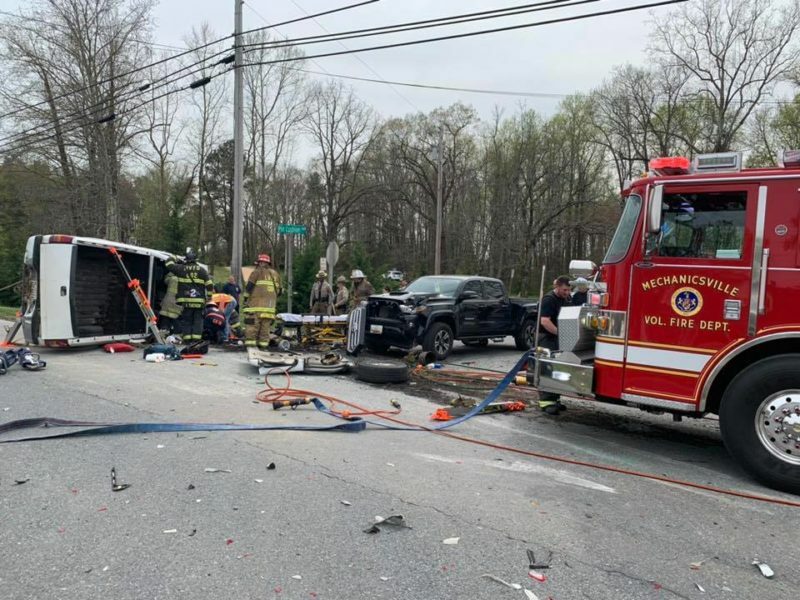 One patient was flown to an area trauma center by Maryland State Police Helicopter Trooper 7. Two patients signed care refusal forms on the scene. 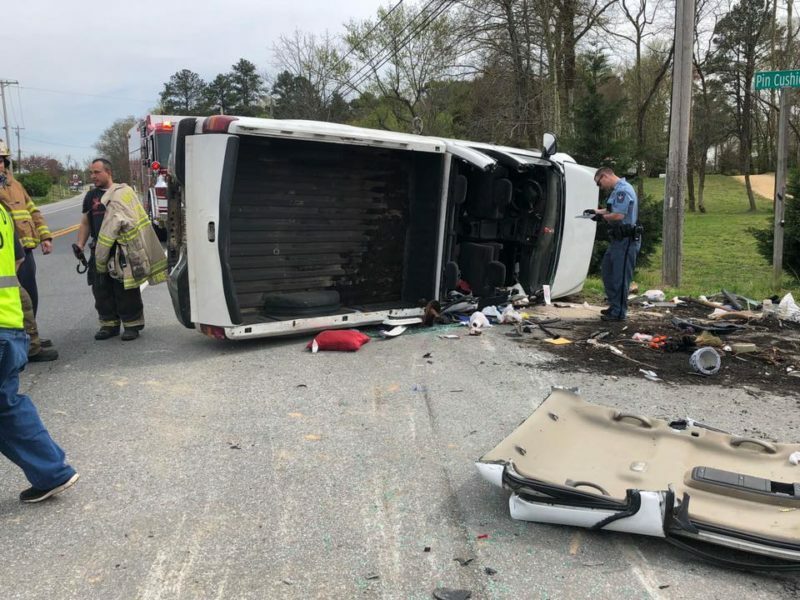 All photos are courtesy of the Leonardtown Volunteer Fire Department. 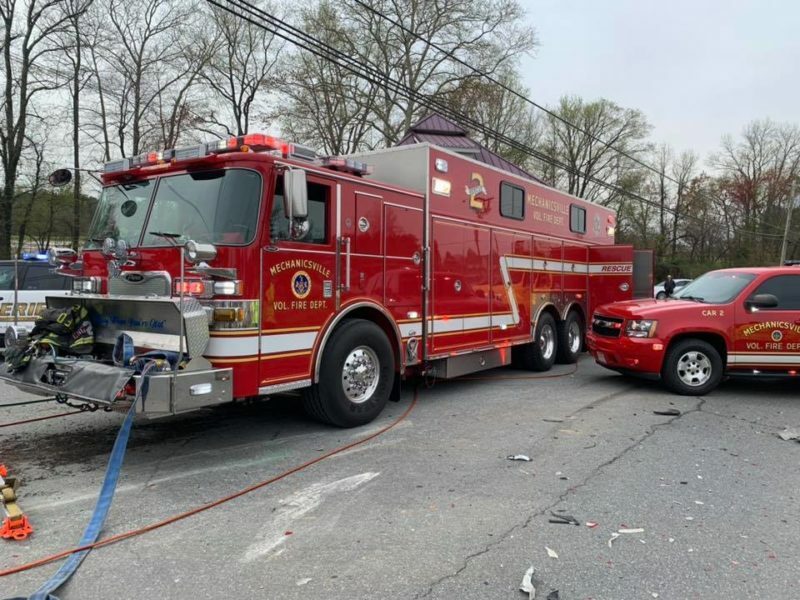 This entry was posted on April 13, 2019 at 8:40 am and is filed under All News, County, Fire & Rescue, Law Enforcement, More News, St. Mary's News, z 600X120 Top Ad Bottom, z 600X120 Top Ad Top. You can follow any responses to this entry through the RSS 2.0 feed.